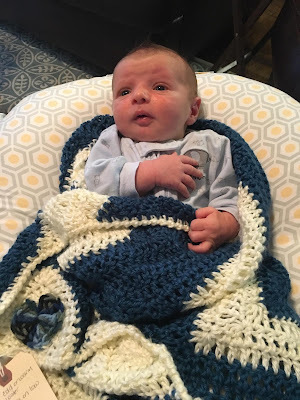 I am always looking for new patterns for baby blankets to make for those new little bundles of joys that will soon arrive. 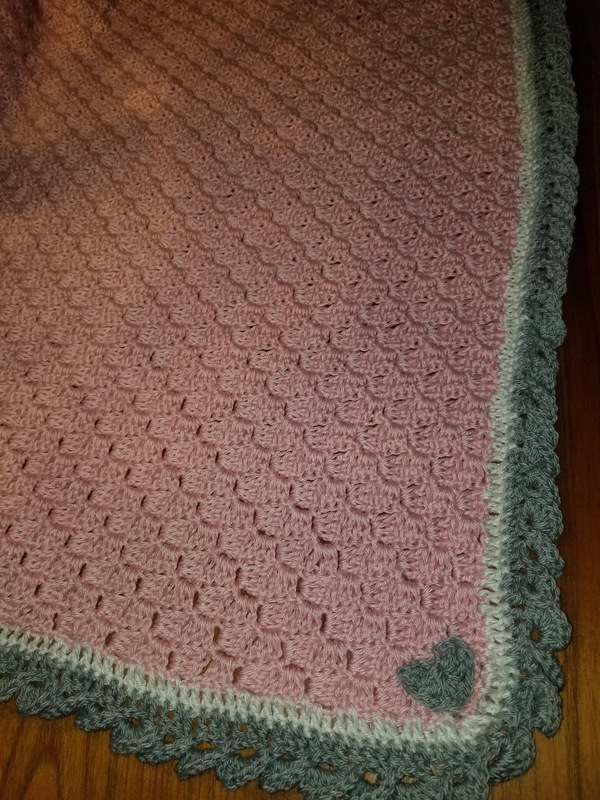 Found this corner to corner blanket and fell in love 💖 Ashlea does an amazing job with instructions and videos to make it easy to try. 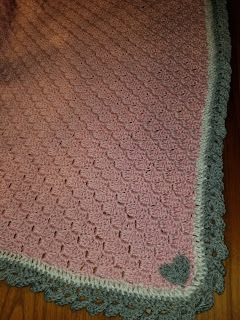 I have completed a little girls blanket and adding finishing touches to the little boy blanket I am working on. 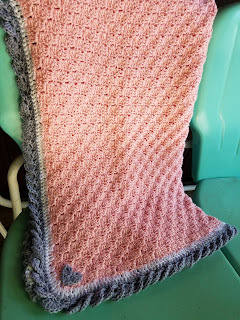 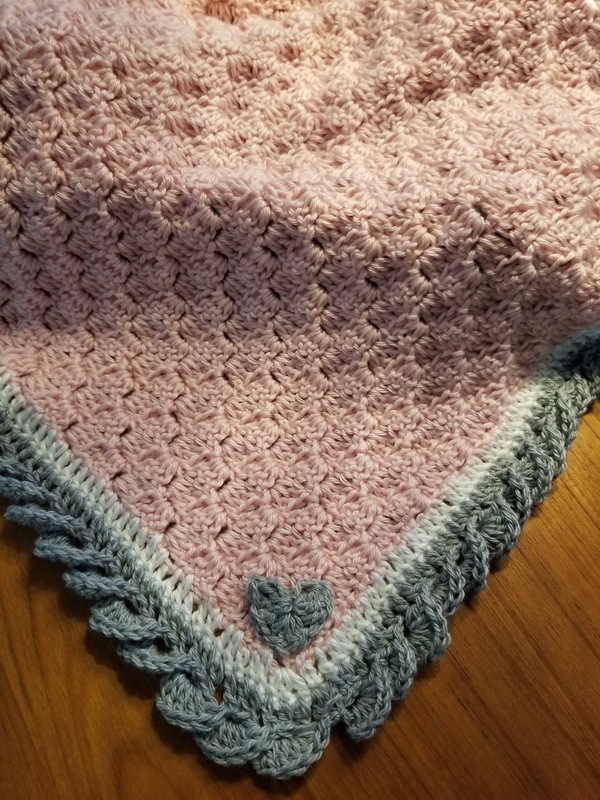 The corner to corner blanket makes it easy to add designs in your blanket, I have not tried that yet, I need some time to build up to that level. 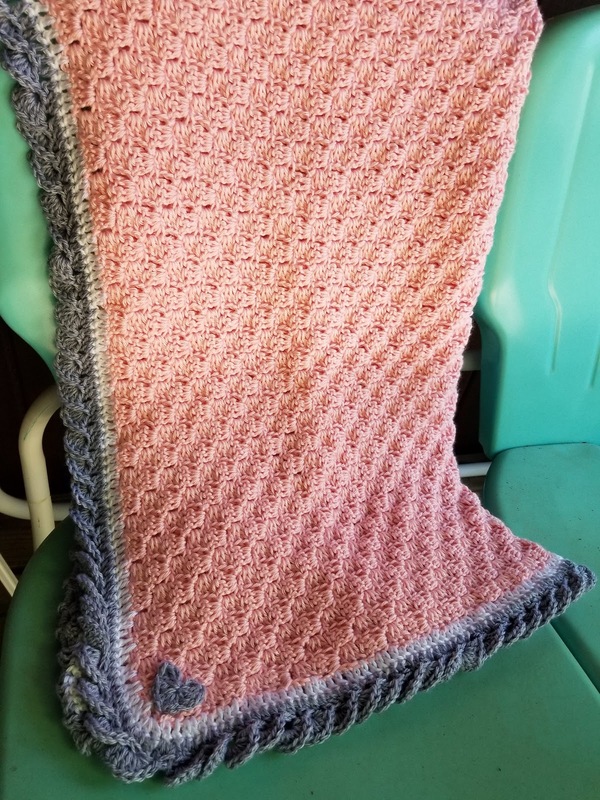 However she gives you great links if you want to try that 😍 I used Pink, white, flannel yarn and the border is Reverse Shell Stitch which I think made it a perfect girly blanket.